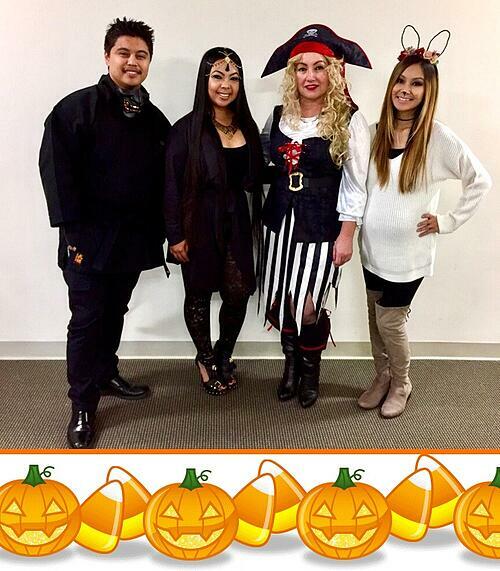 Enjoying Halloween at Integra today! Integra Technologies Silicon Valley (formerly CORWIL Technology) has partnered with Mynt Systems to take part in helping the environment by going ‘green’. Mynt Systems provided Integra with development, design, engineering and delivery of a turn-key energy efficiency and water conservation project that included efficiency upgrades to the lighting, HVAC, water process, CDA and N2 systems. The combined performance of the holistic energy and water savings project will produce a payback of 4.6 years. Visit Us at ICSCRM This Week in Washington DC! WICHITA, KS, September 5, 2017 - Integra Technologies, LLC, a world leader in integrated circuit test and related services, announced today that it has acquired CORWIL Technology, Corporation (CORWIL). CORWIL provides high quality and responsive semiconductor assembly and test services focusing on Hi-Rel, fast-turn and wafer processing markets. 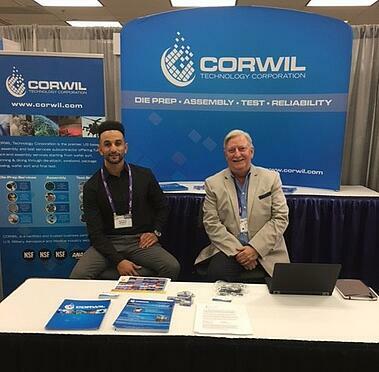 Founded in 1990 and based in Milpitas, CA, CORWIL is the premier U.S. provider of full back-end assembly services and is a key partner with leading medical, Mil/Aero and commercial semiconductor companies. The combination of the two companies will provide a single point of contact for an extremely broad array of semiconductor assembly, test and evaluation services supporting the Military, Avionics, Space, Medical, Automotive and Fabless Semiconductor markets. CORWIL will continue operations in Milpitas, California with existing employees, management team and product/service offerings. 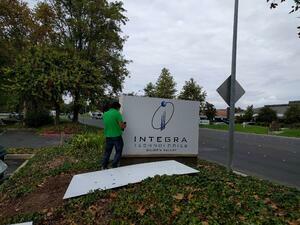 Integra Technologies, an employee owned company, is one of the largest independent test labs in the U.S and Europe. Integra's operation has been satisfying customers for over 30 years by providing a wide variety of IC test and related services including: Test Development, Final Test, Characterization, Wafer Probe, Qualification (HTOL, HAST, Temp Cycle), DPA, CSAM, FA, Upscreening, MIL-STD testing, counterfeit detection, obsolescence management and DMEA Trusted processing. Integra has one of the largest and most experienced test engineering organizations offering support for every device technology including RF, Mixed Signal, Digital, Linear and Analog. Integra provides 24x7 high or low volume capacity and has demonstrated industry leading quality and on time delivery performance. For more information about Integra, please visit www.integra-tech.com. Read about how CORWIL Technology provided an in-house turnkey solution for a top fabless networking company that needed to implement volume manufacturing for their advanced Silicon Photonics technology. Have a question? Give us a call or send us an e-mail. In response to the requests we’ve received about our processes and types of equipment we have, CORWIL has created a Youtube Channel to show you what we do. Not seeing what you're looking for? We will be growing our video library as requests come in. Have a question? Give us a call or e-mail. 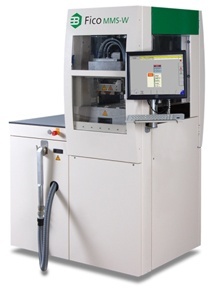 CORWIL Technology (CORWIL) has teamed with Focused Test, Inc. to release the FTI 1000. 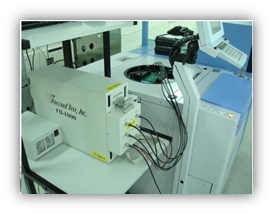 The FTI 1000 tester adds to a growing variety of testers on the CORWIL test floor capable of both package test and wafer sort. The FTI 1000 is a perfect solution for testing power discrete devices, power management IC’s and Intelligent Power Modules. In addition to standard silicon devices, FTI 1000 is capable of testing Wide Band Gap devices using GaN and SiC technologies. FTI 1000 is capable of performing a wide range of DC, thermal resistance and AC tests on power discrete devices. The MOSFET AC parameters tested by the FTI 1000 include Inductive Load (UIL/UIS), Gate Charge (Qg, Qgs, Qgd), Gate Resistance (Rg), Gate Capacitance (Cg, Ciss, Coss, Crss) and high voltage Switching/Timing Tests. The FTI 1000 also offers analog test resources to enable Smart Power devices to be tested, such as Half Bridge power modules. FTI 1000 can also perform Dynamic Rdson testing on GaN HEMT wide band gap discrete devices. Additional channel boards can be easily added, depending on the required configuration, and each channel board can be synchronized by a cabled ‘Sync Bus’. 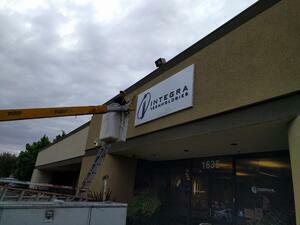 “We have had a number of customers ask about high voltage and discrete testing. This FTI solution works well, providing scalability and flexible solutions. 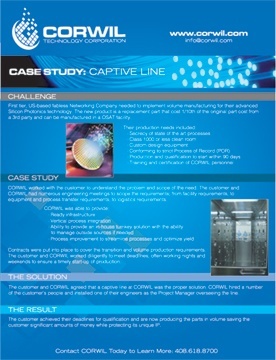 We were pleased when Focused Test collaborated with us on this program.” Said Joe Foerstel, CORWIL’s VP of Test. Focused Test, Inc. (FTI) was founded in August 2006, with the mission to apply a ‘focused technology’ approach to the design of engineering and production testers for power discrete devices and analog IC’s. Our goal is to offer targeted solutions that meet our customers’ needs for low-cost, flexible and scalable test equipment for specific product segments in the power and intelligent power markets. In this way, we provide the lowest acquisition price and highest throughput, along with an impressive array of test engineering tools. 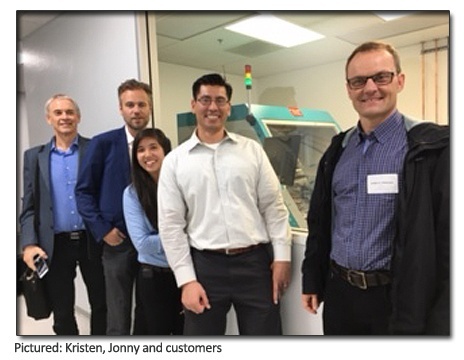 “CORWIL’s extensive assembly and test capabilities have enabled us to provide a full range of test services to power device manufacturers in the Bay Area and we are very pleased with the excellent results of our collaboration to date”, said Peter Hancock, President of Focused Test, Inc. When CORWIL was approached by a medical customer that had developed a product that required a very small and strong die, CORWIL collaborated with them to utilize Dice Before Grind (DBG) in order to adhere to the customer’s very tight and unconventional package requirements. Using DBG reduced die breakage and chipping that can be caused by conventional methods. CORWIL’s commitment to problem solving, delivering quality products and acquiring the best equipment resulted in a happy customer as well as CORWIL successfully taping 1 million die in the month of March on their recently attained Muhlbauer Tape and Reel system.